The juggernaut that is Blizzard Entertainment likes to give back to their community, but to humanity as a whole. They have just released for a limited time a Pink Mercy skin with proceeds going to the Breast Cancer Research Foundation (BRCF). Once you login to OverWatch you get prompted to donate 15$ and you receive a legendary Pink Mercy Skin. The link to the official Blizzard announcement is here . As stated in their official announcement, 100% of the proceeds will go to the BRCF and they are already donating a minimum of 250,000$ to start with everyone of our donations adding onto it. I have personally been working in the cancer field for 5 years now and love to see incredible companies like Blizzard from the videogame community giving back to great causes. On top of the contribution you give to the BRCF with your donation, you also get a gorgeous skin from this limited timed event. 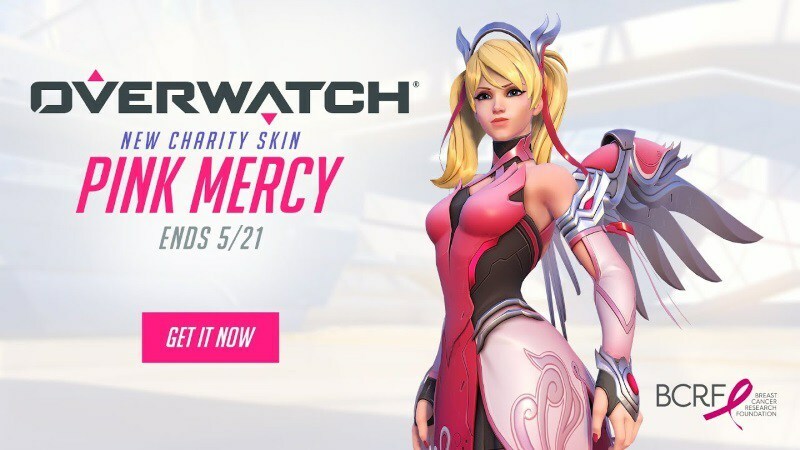 You can donate and receive your Pink Mercy skin between May8th-May 21st so get on it.